Don't worry, cherry blossoms will be featured this month, too . . . But this beautiful engraving by Maria Sibylla Merian was too good to resist. The daughter of an engraver, step-daughter of a painter, Merian was always surrounded by art. 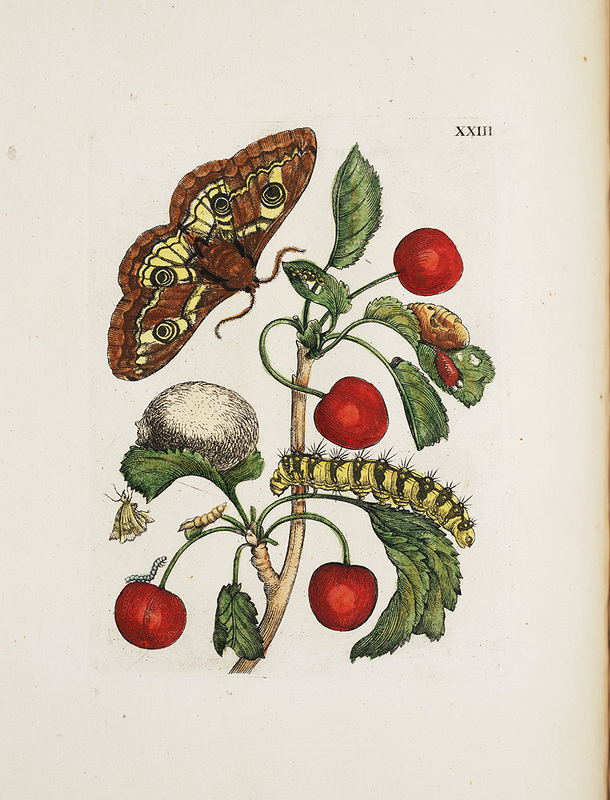 But she also had a curious and scientific mind, which led to her studying insects, especially the transformations from caterpillars into butterflies, and the plants they inhabited. I was always looking forward to the cherry month. It really makes valentines a whole lot better. I was looking for such information for a long time and I am glad that I finally landed here and got the much awaited information! cherry, valentine also chinese new year month. its complete! hi i really enjoyed reading your article, it is great…i will love to read more articles of yours…..
Cherry month? This is the first time I’ve heard this. Is there some history behind calling February “Cherry Month”?